Our 16th century private chapel has been sensitively and lovingly brought into the 21st century. It has not changed from the outside and looks every bit as it did back when the Lord and Lady of the Manor were privately saying their prayers. We have styled this building as an amorous hide-away – which felt only natural as this building feels like it has romance in its very stones! It is small, cosy and intimate. The design has been heavily influenced by camper van style living. The two-ring hob, 50′s diner-style seating and welsh blanket headboard all help give that 'holiday-escape' feel. The double shower in the wet-room downstairs is glorious. The bed is comfortable and the quiet of the Devon countryside is sublime. The ladder-like stairs take a bit of getting used to, but once you've mastered them, they are great fun! There is also a little terrace area for you to enjoy a glass of wine on a balmy evening too. 1 double bed and dining seating for two. 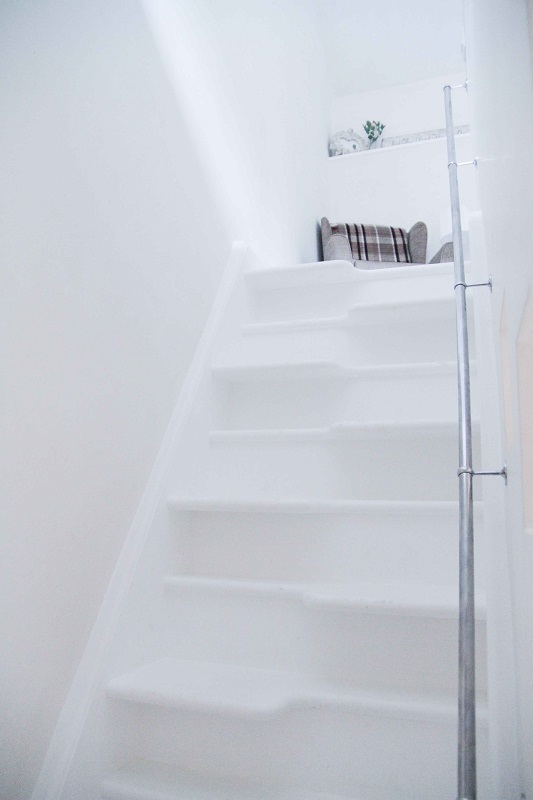 Ladder style staircase may not be suitable for elderly or those with restricted mobility. Private decked area with outside furniture and planting. Sorry, we don’t allow pets in the Chapel but you can have up to two dogs when booking Amity or Grace.